Vinyl is the most requested choice for home siding. It is made from PVC and has been on the market for almost 70 years. It is tough, durable, low in price and easily available in different styles and many colors. Since color is intrinsic to the material, instead of painted on, it is difficult to trace nicks and scratches. There are different levels of quality and as well as different grades. The higher grade vinyl and its molded products are usually priced higher. There are many different styles of vinyl: shakes, horizontal and vertical panels, board n batten, Dutch lap, fish scales or scallops’ shingles, and beaded style. Vinyl siding is lightweight and sometimes can be installed directly over the existing material. It is easy to handle and can also be installed easily and quickly. 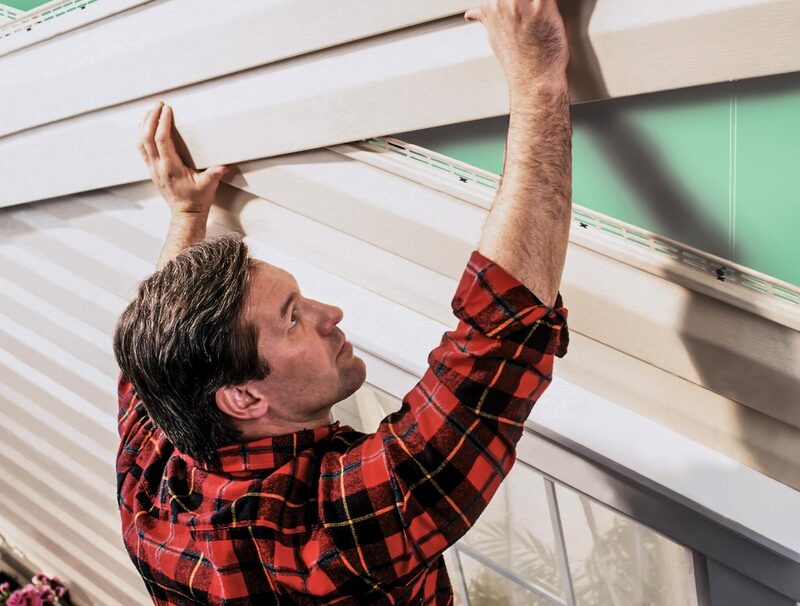 A vinyl siding needs no or very little maintenance. Helps with impact resistance and it lays flatter on the wall. With this type of siding foam is installed on the wall first and then we install the vinyl siding over it. o It is low on cost, depending on the grade of vinyl chosen for siding purpose. o Vinyl siding is usually low on cost but it also depends on the grade of vinyl chosen. o Maintenance is very low, and it doesn’t require any painting work. o Vinyl Siding is not susceptible to damage cause by insects. o It is fairly available in a wide spectrum of colors. o If no backing is available, and also if the vinyl is struck hard, then cracks can appear. Vinyl siding is susceptible to fading in sunlight. o If you want to change the color by painting, then that can’t be done as a vinyl siding is not a paintable material. o The color options are fixed. They cannot be changed as per choice. o Seams are visible due to lapping of the pieces in vinyl siding. Want to find out more about our vinyl siding services? Contact us now at (918) 855-7597 or click the quote button.